In partnership with the Department of Health, GMA is launching two new shows that aims to raise awareness on the different programs of the agency and various health topics that are timely and relevant these days. Hosted by real-life celebrity couple Pancho Magno and Max Collins, Healthy Ever After is a health and wellness show that will tackle different topics that every family should know including family planning, vaccination, healthy living, and a lot more. Not known to many, Pancho is actually a registered nurse and he admits that there is still so much to learn about health and wellness and the different government programs that every Filipino can surely benefit from. More than just a regular talk show, Healthy Ever After is rather an experiential lifestyle show as the couple faces different challenges like going on an immersion to better understand how a common family lives through each day and share some tips that would be very helpful for these families and their community. It is, at the same time, a good learning experience for the couple as they plan to have their own family soon. 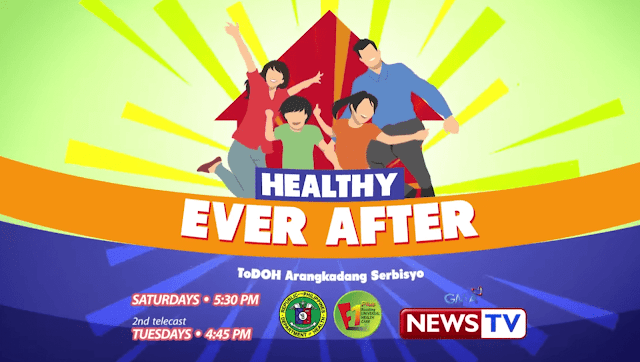 Healthy Ever After is airing on GMA News TV every Saturdays at 5:30PM. 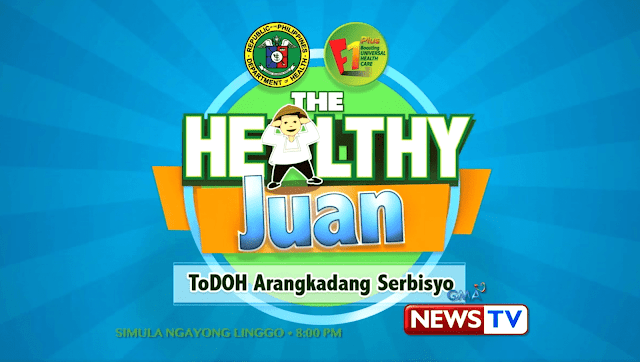 Another health and wellness program that GMA and DOH are launching is The Healthy Juan. Hosted by Kapuso actor and a registered nurse, Rocco Nacino, The Healthy Juan will focus on some relevant topics like depression, healthy aging, and mental health. Rocco expressed his happiness in doing the show as he is able to practice what he learned from his degree. In the show, he gets to talk with some resource persons and doctors who will help shed light to those who or know someone who may be experiencing mental disorders. The Healthy Juan is airing on GMA News TV every Sundays at 8PM.